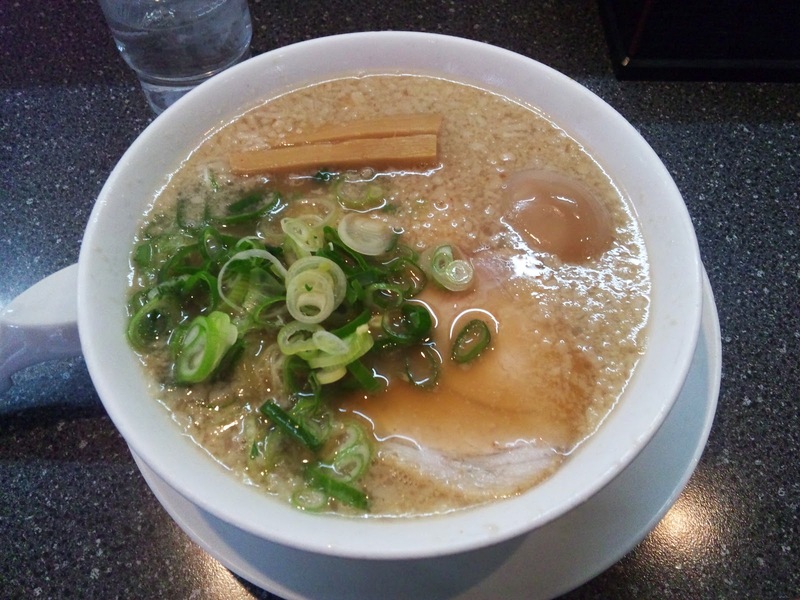 If you haven't stumbled upon this page or read about ramen before, you're probably aware that different areas of Japan have different styles of ramen. Some areas even have more than one! In saying that, today's ramen was Kyoto style, which differs from the image of Kyoto as the subtle, traditional home of Japan. 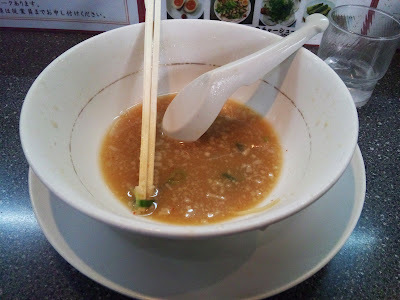 This was a greasy tonkotsu-shoyu type ramen. Overall it was a pretty average bowl of ramen. This is reflected in the often empty counter while the masses queue outside Musashi Bukotsu which is located just across the road. 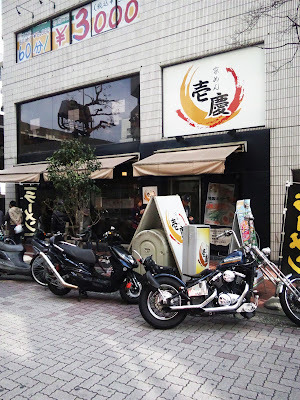 This is probably made worse by the fact that it is quite a large ramen shop. There was nothing particularly memorable about it, apart from being a little spicy, but it wasn't the worst in the world. I think the midnight closing time might attract the after drinks crowd when it doesn't really matter what your ramen tastes like.